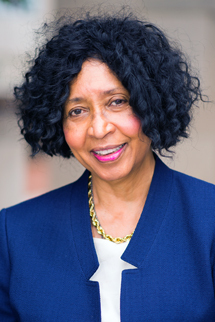 Dr. Marsha A. Echols is the Director of The World Food Law Institute and a Professor at Howard University School of Law, where she teaches commercial, international business and trade, and world food law. She is a recognized expert in the fields of international food regulation, international trade and dispute settlement. Professor Echols has extensive international dispute resolution experience, having served terms as a Member of the United Nations Administrative Tribunal and as a Panelist in a World Trade Organization dispute between India and the European Union, among other activities. She was the Vice Chair of the International Dispute Resolution Committee on the DC Bar. She is the author of several books and law journal articles about international food regulation and frequently is invited in the United States and internationally to speak about food law and policy, and about international trade. Professor Echols has taught at the Graduate Institute of International Studies (HEI) in Geneva and in Beijing and Shenyang, China. She has lectured at HEC Paris, Harvard Law School, the University of Nantes in France and Eduardo Mondlane Faculty of Law in Mozambique, among others. She often participates on legal panels and on delegations to meetings of the Codex Alimentarius Commission. Dr. Echols studied and worked in Belgium, and worked in Switzerland and Washington, D.C. before joining the faculty at Howard University School of Law. She also served as an international trade negotiator for the U.S. Department of Agriculture and specialized in international agribusiness transactions while engaged in the private practice of law. Professor Echols is a member of the Council on Foreign Relations and the Secretary of State’s Advisory Committee on Private International Law. She was the Liaison to UNIDROIT for the ABA Section of International Law, having previously served on the Section Council, and was a member of the Board of Directors of the Woodstock Theological Center at Georgetown University. She is a Board member of the Friends of the National Arboretum. A graduate of Howard University (B.A., Phi Beta Kappa), she holds advanced degrees from Georgetown University Law Center (J.D. ), the Free University of Brussels (LL.M.) and Columbia University Law School (LL.M., J.S.D.). Professor Echols is a member of the District of Columbia Bar. She speaks, reads and writes French.